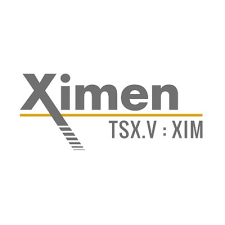 Ximen Mining Corp. (TSX-V: XIM’) announces that it is significantly expanding its precious metals exploration efforts for 2019, with programs underway and being scheduled on multiple properties. The Company is also initiating field work at the recently acquired Providence property of 12,900 hectares near Greenwood, BC (see news release dated April 5, 2019). This property surrounds the Gold Drop Property, where GGX Gold Corp. (TSX-V: GGX). is currently diamond drilling under an option agreement. The Providence property covers a total of eleven known mineral occurrences including the historic past producing Providence mine that produced 183 kilograms of gold, 42,552 kilograms of silver, 183 tonnes of lead, 118 tonnes of zinc from 10,426 tonned mined. Geological reconnaissance and rock geocheical sampling are planned to further investigate the historic mine dumps intially identified. Soil geochemistry and trenching will then be planned with a view to generate drilling targets.